Subject: Can You Buy Lyft Stock Before Uber Stock? If Lyft wants to beat Uber to an IPO, it needs to go public and start selling shares of Lyft stock by 2019 or earlier. Uber's new CEO, Dara Khosrowshahi, wants to take Uber public between 2019 and 2021, which means Lyft will have to move quickly. 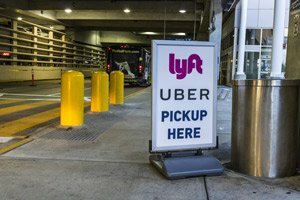 But if Lyft does go public before Uber, does that mean you should buy Lyft stock? Both Lyft and Uber are disruptors who have remade the transportation industry. The smartphone-based platform is replacing a system of random taxis that need to be hailed in the street. But even though they have similar business models, Uber is still considered the more valuable company. Right now, Uber's valuation is estimated at $70 billion. Lyft is valued at $7.5 billion. But Uber has also been under fire for most of this year over recent scandals. The company was rocked by a number of issues, including being sued by Alphabet Inc. (Nasdaq: GOOGL), facing allegations that it used a tool to evade regulation, and dealing with employee reports of a culture of bullying and sexual harassment. Who Is the New Uber CEO? The number and depth of issues this year led to then-CEO Travis Kalanick taking a leave of absence and eventually stepping down. Lyft has rapidly increased its completed rides, going from 53.3 million in 2015 to 162.6 million in 2016. That's a 136% increase in one year. Also, Lyft may be gaining more market share thanks to Uber's scandals. Once Uber's troubles started, the company lost market share to rivals like Lyft. Between January and May, Uber's U.S. market share dropped from 84% to 77%. And while Lyft isn't profitable now, Bloomberg projects it could be by 2018. In comparison, Uber may not be profitable until 2021. But just because Lyft could become profitable and go public first, does that mean you should buy Lyft stock?